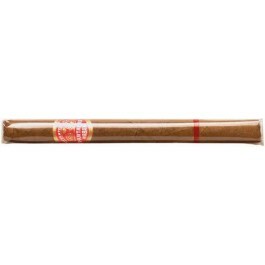 The Partagas Chicos is a tasteful medium-full Puritos, 4.2” (106mm) long, of 29 ring gauge, and comes in a box of 25 cigars. Partagas, one of the most eminent word brands of Habanos, has been rolling cigars since in 1827 in Cuba and has a reputation of offering full-bodied smokes. All Partagas vitolas are rich, full with earthy flavors. Despite the fact that the Chico is not hand rolled in the Royal Factory of Cigars Partagas but machine rolled in the ICT factory instead (as all cigarillos are), it nevertheless keeps the Partagas flavor profile. Like all cigarillos, it is rolled with short filler, and comes precut and with no bands. Despite its small size compared to other Partagas vitolas, it retains all the strength and taste of its bigger brothers in a short 20 minutes smoke. Its affordable price makes it the perfect go-to cigar for a short break, and the perfect smoke to introduce some friend to Partagas typical strong and rusty taste. Aging this cigar for about 5 years refines it even more. • Strong Cuban flavors of wood, tobacco. • Ideal smoke for a short break. Typical Partagas taste recognizable among thousands. 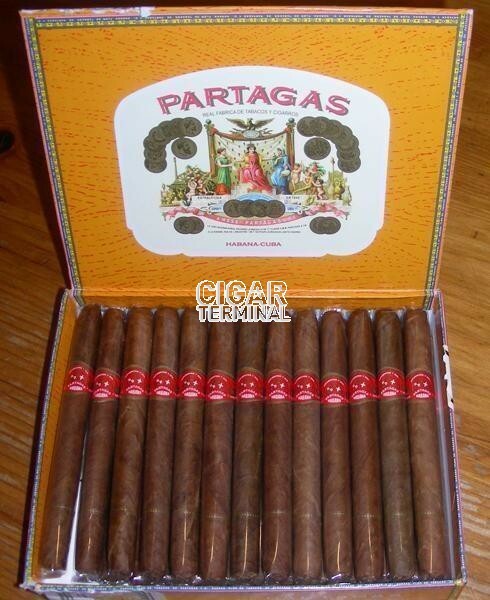 The Partagas Chico is a small machine made in Cuba; each of them is individually wrapped in cellophane and is packaged with band. The wrapper is of brownish-red color with a smooth texture. The cigar has a rough appearance, with some veins, but the leaf itself is nice. There is no cap to it, so there is no need to cut it. Raw, unrefined tobacco flavor exude from the Partagas Chico with also some woody aromas. The pre-light draw is fine. The cigar smells as beefy as it looks. The cigar burns nicely in a clean sharp line, creating dark ashes and generating an acceptable amount of smoke. Unsurprisingly, the cigar greets you with straight rough tobacco taste. The first third is mostly characterized by lots of wood and pepper, which it continues over the whole cigar. In the middle third, the strong tobacco aromas fades away in the background, while remaining present all through the cigar, and leaves more space for a stronger peppery flavor. We can also detect some hints of coffee and of cream. In the final third, the coffee flavor continues on and some sweet cream aspect becomes now the dominant aroma of the Partagas Chico. This release of sweetness is welcomed to balance the overall strength of the cigar. In summary, this is a nice quick yet intense smoke. This powerful taste is typical Partagas.